Large dark green leaves and purple underside with lime green veins. 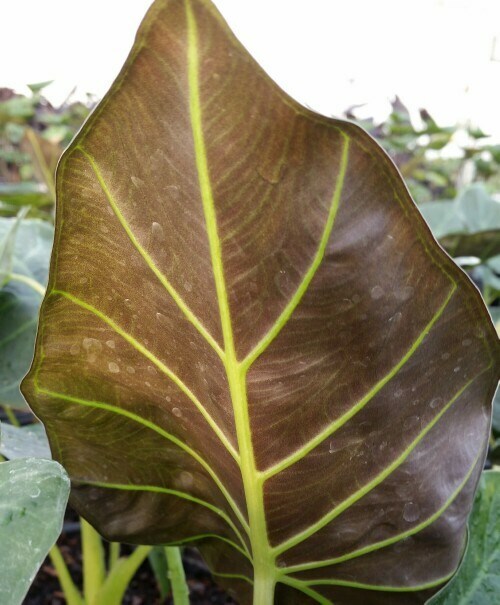 Large leaves add tropical texture to a mixed container or garden bed. Thrives in partly sunny conditions with well-draining soils.